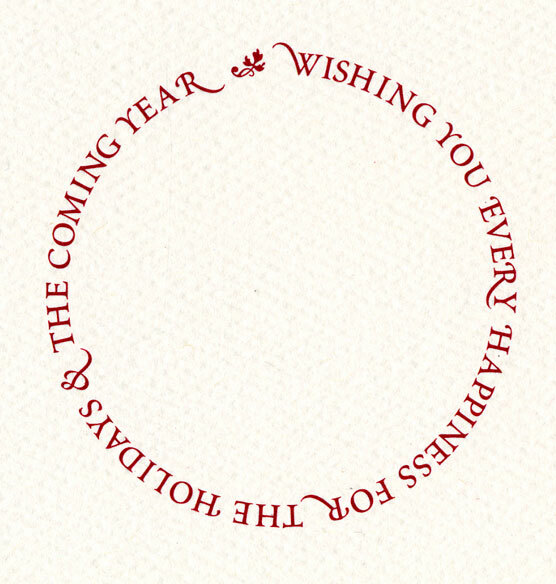 Pre-printed interior verse: "Wishing you every happiness for the holidays and the coming year." Needs more than standard postage!! It complements the photo that I will use.. I have used Exposure Holiday cards for over 10 years. The quality is the best on the market . Classic fit for Christian friends. 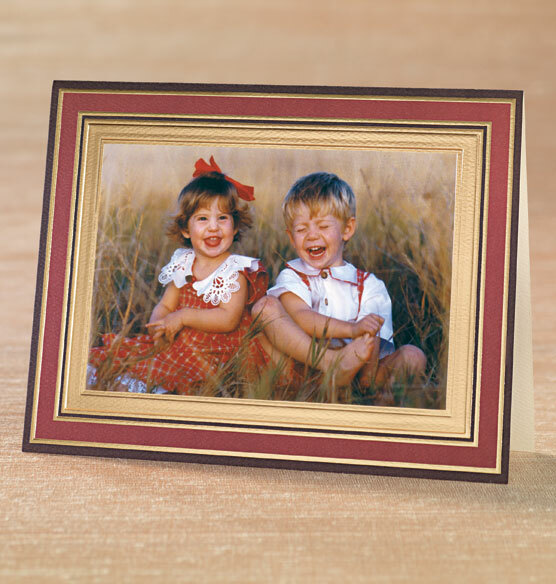 You always have a great selection of photo holders for holiday cards. I keep coming back year after year. Thanks! Excellent with our Southwestern photos. We like this better than Classic Borders but we can't have the same card 2-years in a row. It's classy and we like the thicker gold border next to the photo. The muted colors worked very well with the photo we selected. I like the thicker card stock. I do not mind putting 2 stamps on an envelope. I do not like the slide-in photo cards because they're too tight and the photo often gets bent trying to slide them in. 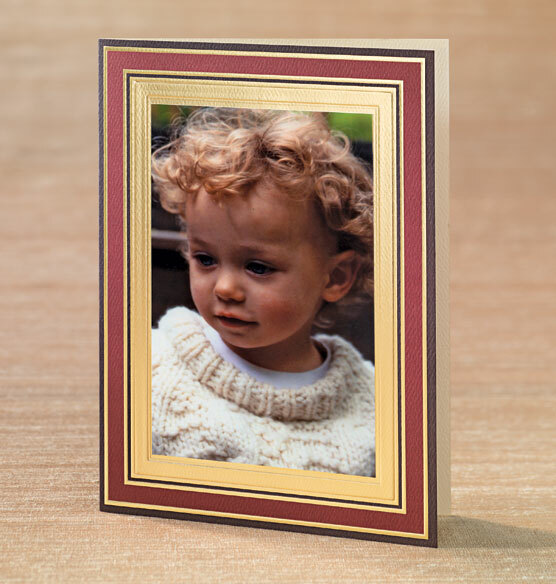 Exposure is a quality card and we have used exposure Christmas Cards for over 20 years. I like the quality of Exposure's cards. This card has rich colors and a beautiful, classic design. It also will work with both a horizontal or vertical picture. Love the look. I thank a previous customer for noting that these will require extra postage. I needed something that would look nice with red plaid. well done card and easy to place photo rather than pocket card which if photo fits (have had issues in past) covers some of the image. Color and style matched perfectly to our customer's portrait. Gorgeous and vibrant colors, wonderful card stock, classic look and feel. I have had the same card for five years and get so many compliments on the quality of the card. I simply change the picture and message and know I will be happy with the product. Love the border; colors went well with our picture of the kids that year. Best selection of photo cards, ease of ordering. The design worked with the photo I want to use. I've been ordering Christmas cards from Exposures for many years. They are high quality and well designed. I find that my friends keep these cards because they are so pretty. What size photo does this take? BEST ANSWER: Thank you for your question. This will hold a 4x6.We hope this information will be of help to you. 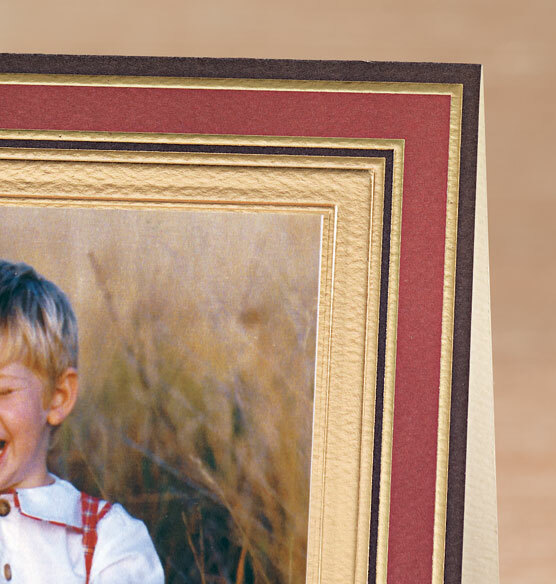 is photo inserted into the card? BEST ANSWER: No, this is not a photo envelope type of card. The photo is applied to the top of the card with the glue dots they provide. Can I get this card without the message inside? Or any photo mount cards without a message inside? BEST ANSWER: Thank you for your question. Unfortunately we are unable to print blank cards. We hope this information will be of help to you. Does this card come with a green boarder? BEST ANSWER: Thank you for your question. The border is dark brown. We hope this information will be of help to you.